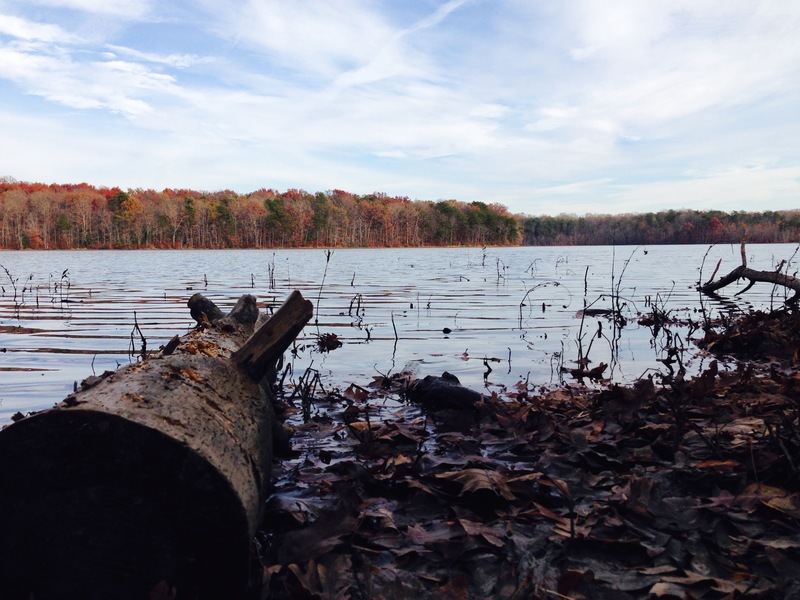 Burke Lake Park remains a popular destination even during the cold months. Burke Lake Park is a popular place. Approximately 2.1 million visitors come to the park each year. They come to catch fish, paddle canoes, ride the miniature train, play putt-putt, spin on the antique carousel, pitch a tent, play disc golf, eat a picnic lunch, walk a dog, ride a bike, see children’s entertainment in the amphitheater, and walk or run around the 218-acre lake. You get the picture. 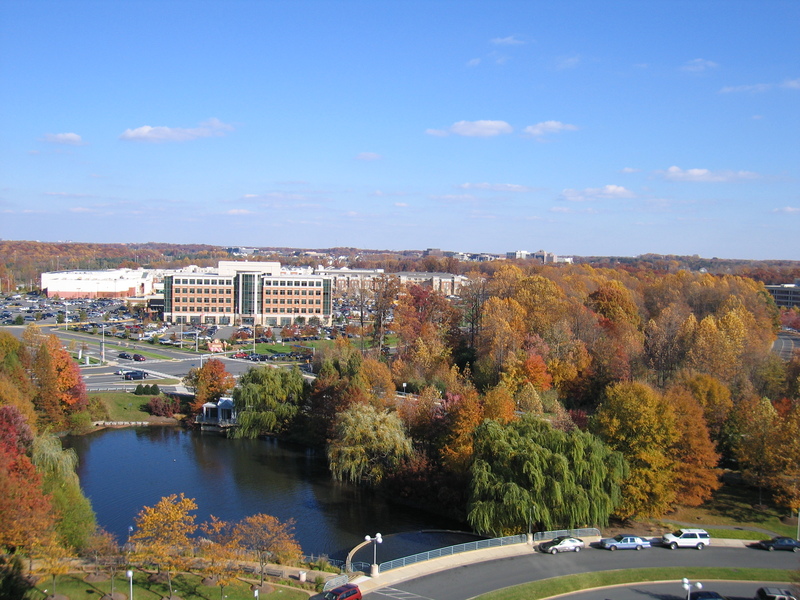 Our parks with athletic fields may see more total visitors due to the number of teams that rotate through for games, but Burke Lake is far and away Fairfax County’s busiest traditional park. The trails are well-traveled throughout the year, but the majority of visitors come during the summer months when the marina, campground, and amusements are open. Now that seasonal staff has returned to school and the Ghost Train has pulled into the station for the last time, maintenance workers are busy winterizing the park and preparing for the crush of visitors next spring. Superintendent of Maintenance Will Jennings has worked at Burke Lake for 24 years. He has seen it all, but his passion for Burke Lake’s upkeep has never waned. Listening to him talk, it’s obvious how much he loves every inch of the 880-acre park. I recently sat down with Jennings and his 19-year-old African gray parrot, Samson, to talk about what it takes to winterize the park. The list of tasks was long – and didn’t even include the golf course chores – but Jennings was confident in his crew’s ability to complete it. The Ghost Train’s last ride in late October marks the end of the season for the miniature Central Pacific Huntington train. After it is serviced and cleaned the train is parked inside the tunnel and the garage door-style doors are pulled closed. 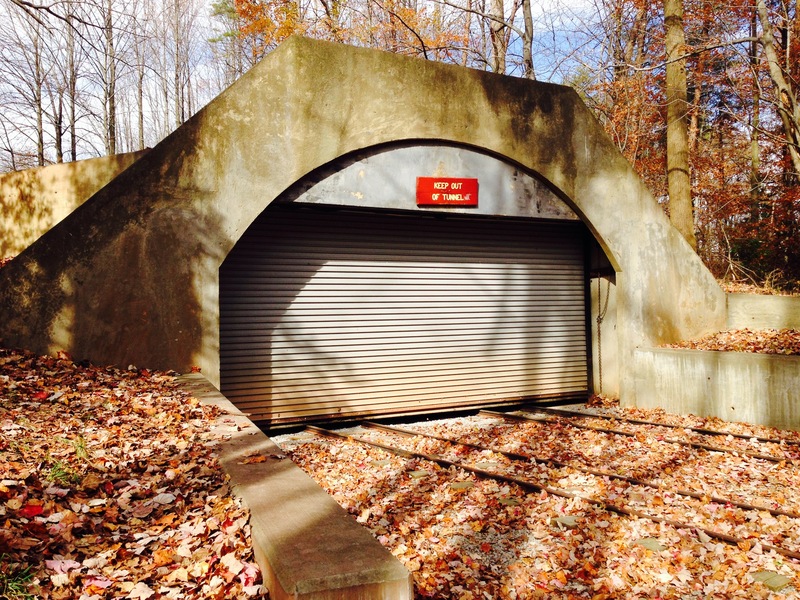 The train will remain in this dark, dry storage area until spring’s return. The miniature train will emerge from the garage next spring. The antique carousel horses are removed and stabled in a secure shed behind the maintenance shop, and the top of the carousel is removed before too many leaves pile up. The canvas top is cleaned and put away for safekeeping. The park’s fleet of boats spends a lot of time on the water during the summer months – over 5,000 rentals! Damages sustained throughout the summer need to be repaired. Oar locks are fixed on the rowboats and seams are re-welded on the aluminum canoes. Boats are dragged away from the water’s edge, stacked, and locked together. Trolling motor batteries are charged or replaced and put away until next year, and the boat house is shuttered and locked. Picnic tables are leaned against trees to prevent puddles of rainwater and piles of snow from accumulating and causing water damage. The tables will receive a fresh coat of paint in the spring, no matter what. Grills in the campground are covered with trash bags to prevent them from rusting. Even with efforts to protect them, 20 to 30 grills need to be replaced each year. Fire rings, which tend to go missing if left out for too long, are collected from the campsites and safely stored. Leaves, which decompose into dirt and hold water if left alone, are blown from the trails. Water fountains are turned off and lines are cleared of any remaining fluid. Steps are taken to winterize the three bathrooms that are kept open and unheated all winter. Antifreeze is pumped into the plumbing at the campground’s bathhouse to prevent pipes from freezing. Dumpsters are stored at the campground to save money on removal (they have a way of filling up with illegally dumped trash if left out). Two bins are kept at the shop and one is left at the golf clubhouse. The ice cream parlor vendor cleans the vending and dining areas and removes stocked goods before the building’s heat is lowered. Walkers, cyclists, and cross-country runners can look forward to a resurfaced trail. The maintenance crew will spread 300 tons of gravel on the lakeside trail this winter. Partial funding for this project came from a local photographer who sold calendars featuring images of the park and donated the proceeds for trail improvements. This entry was posted in Uncategorized and tagged Amusements, Antique Carousel, Burke Lake Park, Camping, Canoes, Fairfax County, Fall, Maintenance, Miniature Train, nature, outdoors, Parks, Trails, winter, Winterization on November 15, 2013 by Fairfax County Park Authority. Editor’s note: Fairfax was recently named the healthiest county in Virginia in a report by the Robert Wood Johnson Foundation, University of Wisconsin Population Health Institute, and Community Catalyst. By educating yourself about health topics and staying up-to-date about current health issues, you will be one step closer to becoming your own health advocate. Join the Park Authority’s free Take 12 Steps for Health program to receive health information each month. Each month there is a new health theme, tips to keep you motivated, and a calendar of free monthly workshops on different health topics. Committing to becoming and staying healthy for life is the next step. 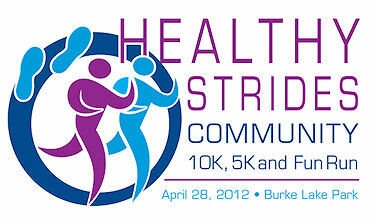 You can eat smarter and healthier, buy local and organic foods, start your own garden, develop an exercise routine, sign up for a new fitness class, increase your water intake, or train for a race, such as the first annual Healthy Strides Community Race at Burke Lake Park on April 28, 2012. Depending on your fitness level, you can choose a 5K or 10K, and kids can start healthy habits by participating in a Fun Run. Finally, community involvement and volunteering play a role in becoming a health advocate. Take 12’s theme for September is “Serve your Community as a Volunteer.” You’ll receive tips on volunteering and how to find grass-roots projects, such as becoming a mentor, creating pieces of art, serving meals, or planting a community garden to build strong and vibrant neighborhoods. The important thing is to start becoming your own health advocate today. Visit Take 12 online to learn how. This entry was posted in Uncategorized and tagged Burke Lake Park, Fitness, Health, Healthy Strides, Take 12! 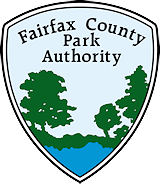 on April 16, 2012 by Fairfax County Park Authority.